يقع فندق Park Beach Resort في مدينة كوفس هاربور، على بُعد 3 دقائق سيراً على الأقدام من الشاطئ، ويوفر المنتجع مسبح في الهواء الطلق ومرافق للشواء. كما تتوفر خدمة الإنترنت اللاسلكية مجاناً. يتوفر عدد من المحلات التجارية والمطاعم ضمن مسافة 5 دقائق سيراً على الأقدام من فندق Park Beach، ويبعد نادي بارك بيتش للبولينغ مسافة 350 متر فقط من الفندق، ويبعد محمية موتونبيرد آيلاند الطبيعية مسافة 7 دقائق فقط بالسيارة من هناك. تحتوي الغرف في فندق Park Beach على نظام تكييف وجهاز تلفزيون مع قنوات فضائية، وتضم أيضاً مطبخ صغير مع ميكروويف. كما يتم توفير مكواة ومرافق صنع الشاي/القهوة لراحتكم. يمكن للضيوف لعب الميني غولف أو الاستمتاع بلعبة التنس، ويمكن لمكتب الجولات السياحية توفير النصائح السفر على مناطق الجذب السياحية المحلية. كما تتوفر مرافق غسيل الملابس عند الطلب. يرجى الملاحظة، يتم تطبيق تكلفة إضافية بقيمة 3% عند الدفع لأكثر من 200 دولار أسترالي مع بطاقات الائتمان أمريكان إكسبريس. We booked the room 1 hour before arriving and did not expect much. The room was large, well equipped, the bed very comfortable. Great place to stay and we could have stayed for longer. Arrived around after 2100hrs. Owner was friendly to greet us.. together with her daughter and cute little doggy, bear. Owner was also helpful to recommend some of the places of interest in coff harbour. Room was big and comfortable. Nice clean hot Jacuzzi bath after a long day of driving. Parking was a bit cramped and very relaxed clean up of rooms (had to ask for more toilet paper and a change of towels). We were there for 5 nights. Enough cutlery and crockery and microwave and fridge adequate. Bed was comfortable enough and plenty of spare blankets. We arrived late - around 7.30pm and the staff member at the desk was cheerful and very helpful in helping us find somewhere locally to eat that offered a tasty range of meal choices. Our room was comfortable and very clean. It was a quiet location. Happy to return on our next trip. Friendly and helpful staff. This motel is in a great location. We had a very enjoyable 4 night stay and the staff were very friendly and helpful. The room we had was spacious for this type of accommodation and spotlessly clean. 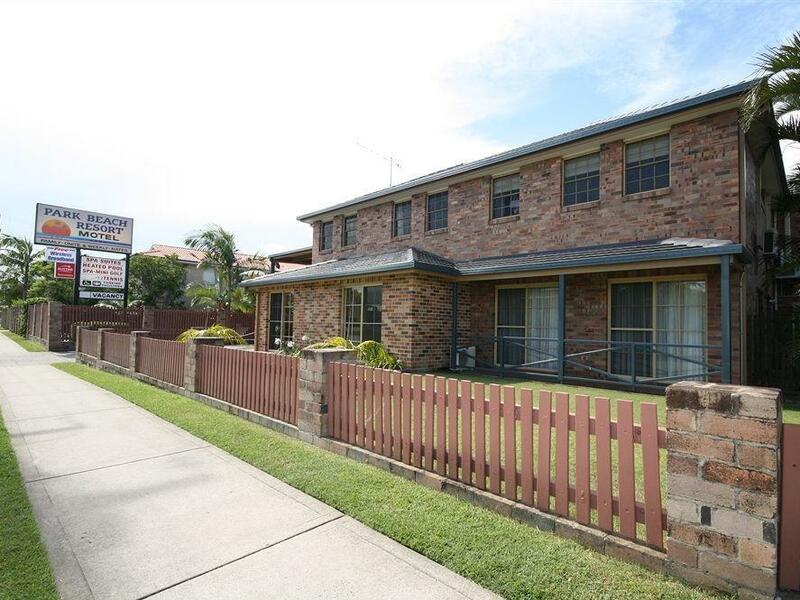 The location is great being close to the beach and the Hoey Moey pub with the bowling club just down the road. The only faults worth mentioning are the bathroom lighting is quite dim and I find shower curtains clingy and annoying. The owners told us they are gradually making improvements so I'm sure these things will be improved. 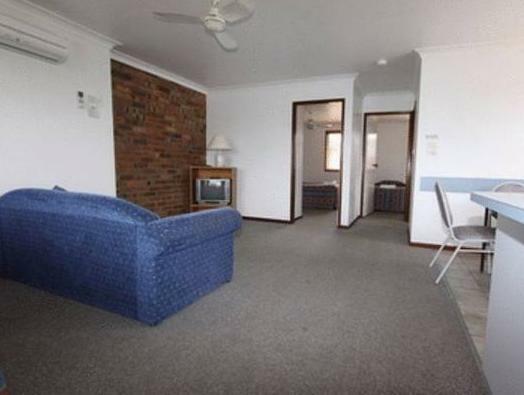 I would recommend this motel to anyone wanting to stay in Coffs Harbour for a reasonable rate. Location, cleanliness and management reception and attitude. 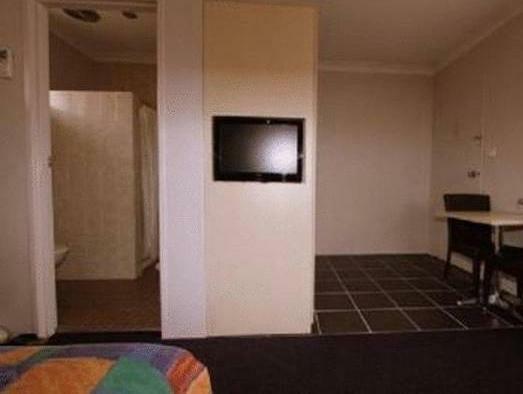 This is a clean, well managed and well located motel at the better end of Australian motels. Personable reception and good local advice added to the experience. To rate it as "fantastic" is meaningless. Excellent value would be a better description. I rated Food at 3 because you have to rate it but we had no meal at the motel. We had a 1 night stay in a family room en route to surfers from sydney. The room - more like an apartment was very spacious and accommodated our family of 2 adults and 2 children very adequately. It was located only moments from the beach, club/pub, shopping centre and fast food outlets. The hosts were exceptional and even gave us a free drink on arrival. Could not fault it. Ian and Nat gave impeccable customer service. I would recommend their hospitality to anyone heading to Coffs Harbour. Awesome service, easy check in walking distance to beach, shops and pub. Warm welcome on arrival, really helpful, friendly staff. Rooms were comfortable, clean and tidy. We really enjoyed our stay would recommend Park Beach and will stay again. Well priced, great location, very friendly staff. Short stay, but that was long enough to know we want to go back. It was comfortable, clean and well priced, while the staff were very friendly and accommodating. Will be staying here on our next trip to the Coffs Coast - hopefully for a little longer than the last time.